Accu-Router, Inc. manufactures high performance CNC routers (custom-made) for industries such as: upholstered furniture, boating, aerospace, automotive, moldings, hardwood furniture, and novelties. These are not the only industries, however, they are the most popular. 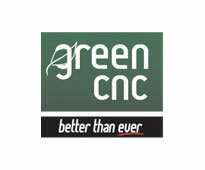 Accu-Router, Inc. builds their own premium spindles in-house, unlike other CNC router builders. This accomplishment makes it much easier for customers, as it provides only one place to call for all a customer’s router needs. We guarantee the best quality on all of our products. Accu-Router, Inc. has introduced an ultra high performance high speed spindle for use on its High Velocity CNC routing systems. 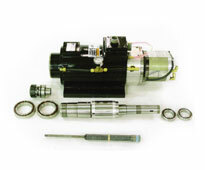 The spindle is the high precision HSK 63F model power draw bar model with a 20 HP / 24,000 rpm high performance U.S. made motor pack. 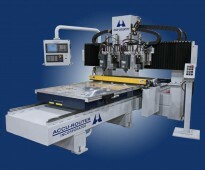 Accu-Router is the sole CNC manufacturer with an in-house, high-speed spindle repair facility in the United States. An inventory of virtually every part in the entire XR Series line is maintained which relates to prompt service on all customer repairs.